The Kettwiesel’s delta design is simple, but incredibly effective. You are low down and almost between the back wheels, so the Kettwiesel is very stable, and the single front wheel makes it very manouverable as well. This geometry also means that the steering system is much less complex than the tadpole geometry (see the Scorpion) – so it’s light and reliable. Because you can turn the front wheel about 75 degrees, the Kettwiesel can turn in its own length. 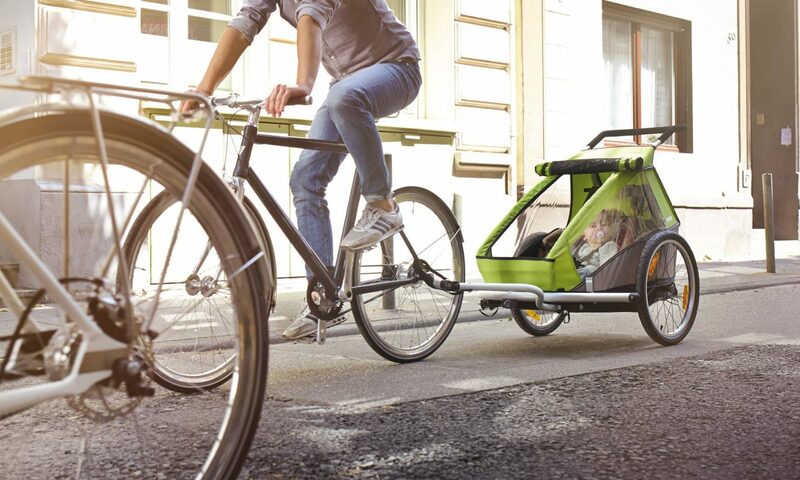 The Kettwiesel is also light (16kg), so you can take it almost anywhere. Riding a Kettwiesel is an experience you have to try – about the closest thing I can describe it to is a go-kart, but it’s probably even better than that. If you really push it, you can lift the inside wheel, and with a bit of practice two-wheel riding is easy. The componentry is simple and reliable. Independent disc brakes on each back wheel are operated by two levers, and one gear shifter shifts through the 9 wide-range gears. The Kettwiesel is also very adjustable! A couple of clever chain pulleys let you adjust the length to suit you without having to add or remove links. For bigger adjustments, the pulley can be moved to one of several sets of mounting holes. The Allround has an aluminium frame and comes with either 8-speed linear derailleur gearing, or a sealed Nexus hub gear, both versions have mudguards and hub dynamo lighting. The Evo has a folding full suspension frame – undo one clamp and pull a cable, and it folds up to fit easily into a car boot, and the seat folds flat too. The Evo has a Nexus settled hub gear, and the Evo can also have the Shimano STEPS electric assist system. The Cross is like the Evo, with a folding frame and full suspension, but it is built for off-road use with an 11-speed linear derailleur driving both back wheels through a differential. Like the Evo, it can also have the Shimano STEPS electric assist system.